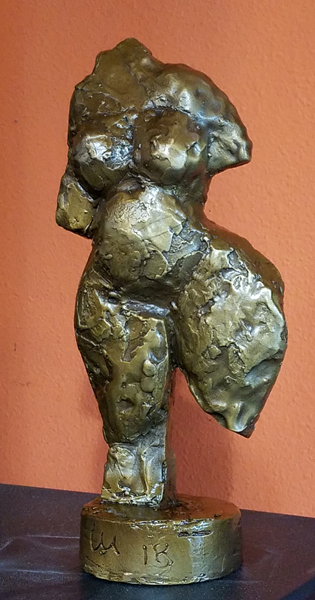 Lee hasn’t made any cast bronze sculptures since 2009, which was the last time he worked with the Shakya family of bronze casters in Patan, Nepal. 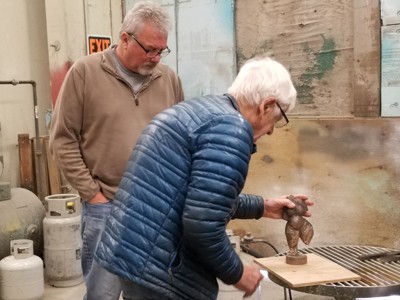 This new relationship with Blue Mountain Fine Art reignites Lee’s interest in bronze and the rich opportunities inherit in the casting process. Lee Kelly and Blue Mountain Fine Art owner Tyler Fouts discussing the patina of Figure Study III.